Thank you for considering me for your big event, my name is Bryan Tepe and I have owned & operated my own DJ service for over 25 years, with just the right mix of music & personality. I have a state of the art sound and lighting system with over 24,000 songs on my laptop. I have event planners on my website to help script your party or reception. Plus, I can work with other vendors (caterer, photographer, reception hall) to keep everything flowing smoothly without bothering you. I will quote you one price which includes set up, tear down, a laptop, (with all of the latest music and oldies), speakers, amps, dance lights, and a wireless microphone. There are no hidden fees or time limits and together, you and I can organize your event, from the music choices to the announcements. References provided upon request. Call me now and we can get started at 402-450-7550 or click contact. Plus I can make photo slideshows for weddings, anniversaries, funerals, birthdays, retirements, graduations or any special occasion. I moved to Lincoln, NE., back in 1988, from Manhattan, KS., to work at my dream job, 96kx radio station. Back then, an up and coming radio station that plays country music and I was not only hired to work on the air, mid days, but also the production manager. I was so excited and nervous at the same time. In 1990, I met my wife here and we got married in 1991 and have two great sons. In my years in radio, I worked with a lot of great people and made some great friendships and met some awesome celebrity's and singers like Charlie Daniels, Dwight Yoakam, Clint Black, Reba McEntire and a whole lot more. My favorite part of radio was live broadcasts around town which gave me the opportunity to work with some great clients and meet so many nice listeners. I finally left the radio business in 1995, even though I miss it, I love working with my DJ service and spreading my experience to potential clients. 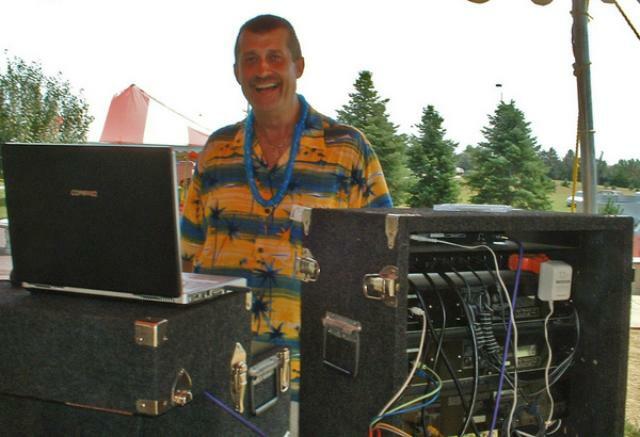 Actually, what I like the most about my DJ service is playing music and watching people having a great time. Check out my customer reviews. 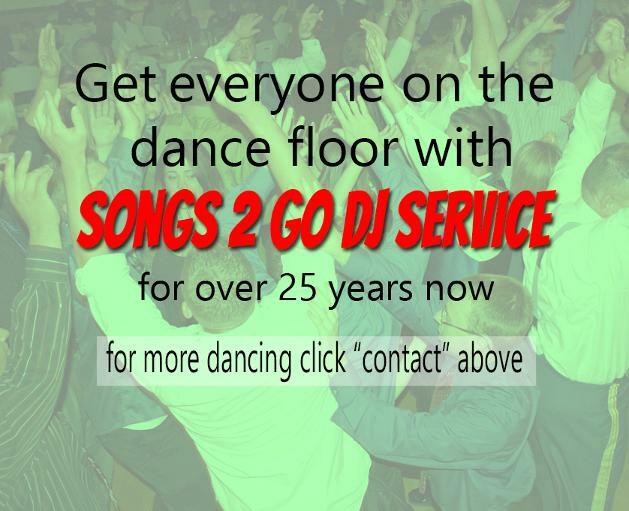 Your service, Songs 2 Go DJ Service & Videography, is ranked as one of Thumbtack’s Best of 2015 in the Event Production category as a result of your great customer reviews. This is a terrific vote of confidence from your customers in the past year—and a great way to stand out this year. We're proud to prominently feature your business on our website. Check out the Thumbtack link below. 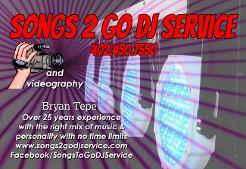 When you hire Songs 2 Go DJ Service, you are hiring Lincoln radio personality, Tyler Jeffries.